I’ve been on a wicked kick for hot sauce lately. I’ve been determined to come up with a few good Sriracha Chicken Breast Recipes too. I love food so it’s pretty important that I try and eat healthy during the week so I can have a good cheat meal on the weekend. Well today I ended up grilling up my normal chicken breasts for the week but instead of a lemon pepper seasoning or our normal Season-all, I decided to add my newest, soon to be addiction, of Sriracha sauce. Have you heard of it? Sirarcha sauce is a type of hot sauce or chili sauce that is made from a paste of chili peppers, distilled vinegar, garlic, sugar and salt. Wikipedia tells me it’s named after the coastal city of Si Racha, in Chonburi Province of eastern Thailand. I first saw the Sirarcha sauce at my local grocery store. They carried a very small bottle, which was fine with me because I’m not really into hot sauce that much. Or so I thought. I opened the small bottle and dabbed a teeny-weeny amount on a chip just to give it a taste. It was tasty but not hot at all. I added a bit more and it was at that moment I fell in love with this sauce. Before you know it I was adding it to my farm fresh eggs in the morning, my sandwich at lunch and my chicken breasts for dinner! The next day I insisted my husband try it. He loves all kinds of hot sauce. He shrugged his shoulders and say “yeah, it’s pretty good” without too much of a fuss. He basically acted as if it was no big deal, while I thought it moved mountains. Next thing you know he was eating it with anything and everything too. Before you know it that little bottle was gone if 4 days. I’m not even kidding. The hubster ended up going back to the store to find a much bigger bottle. If you have not tried this Sirarcha sauce, you must try it. You must. I ended up squirting a bunch of Sriracha sauce along with a few other seasonings on my chicken breasts, put them on the grill and it was delicious. Combine all the ingredients and rub it on the chicken breasts. Grill or bake. Just look at this chicken. Yum. Yum. Yum. Be sure to grab yourself a bottle of Sirarcha sauce but make sure you grab the big one! 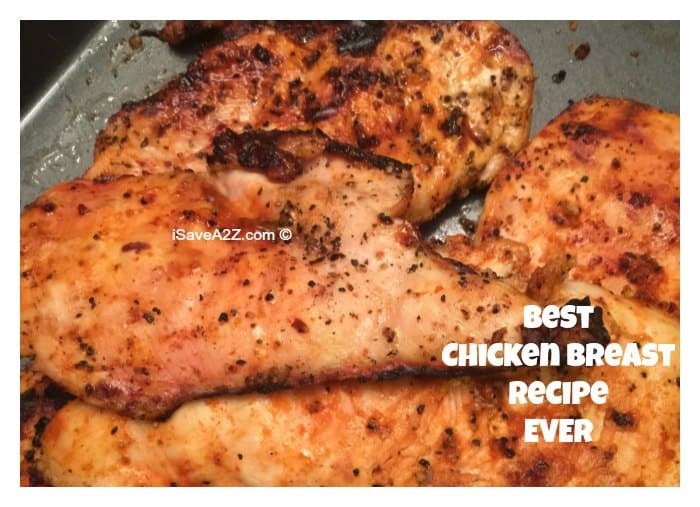 By Jennifer on January 26, 2015 Chicken recipes, Main Dishes, Recipes. I also LOVE Sriracha sauce. Here is a recipe you will fall in love with.